Few shop tools scream badassery quite like a good heat gun. From heating shrink wrap tubing to drying or removing paint, the unsuspecting heat gun can help you power through a wide range of tasks with little effort. But like all shop tools, no two are the same. 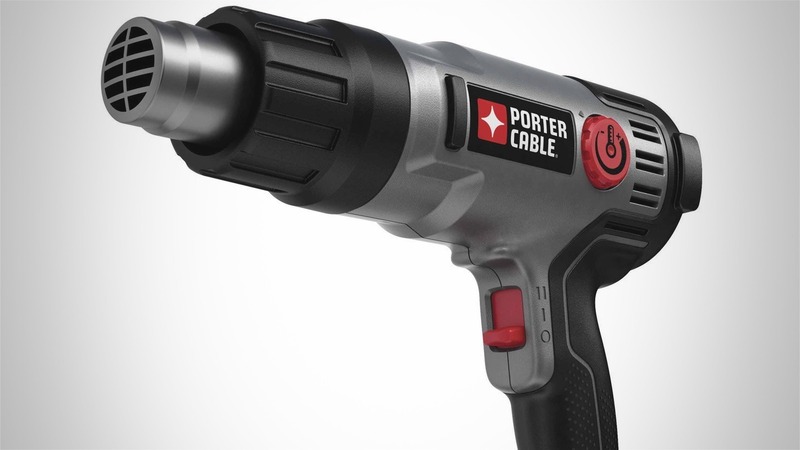 Unlike many other heat guns on the market that only contain a HIGH or LOW-temperature setting, the Porter-Cable 1500-Watt Heat Gun features a variable temperature dial for getting that temp just right. So whether you’re bending plastic, removing adhesives, or even crisping the outer layer of a Porterhouse steak, there’s no shortage of tasks you can complete with a solid heat gun. 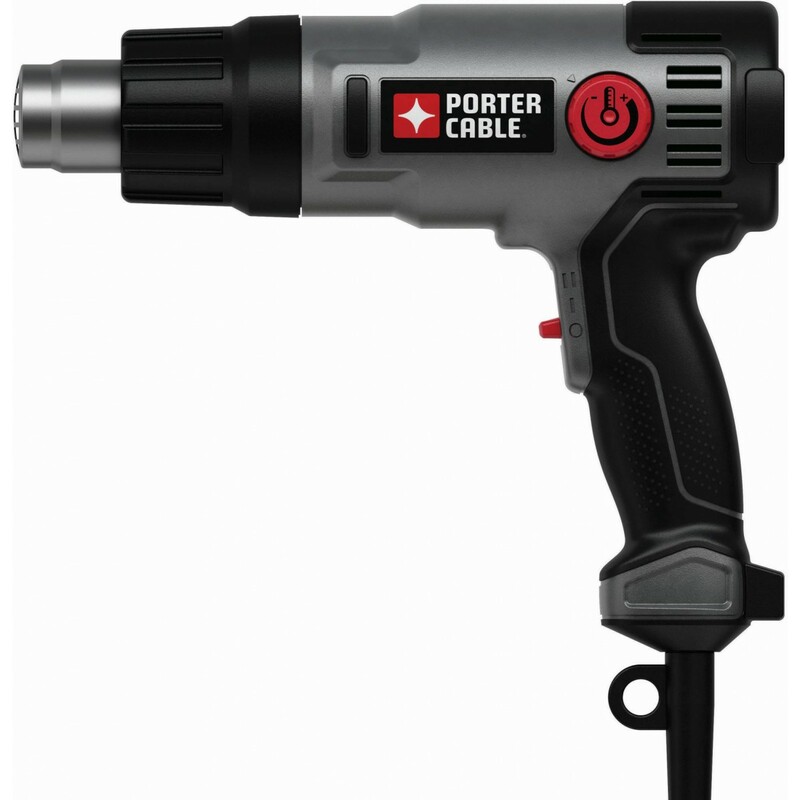 The Porter-Cable PC1500HG Heat Gun has a dual fan speed selector that delivers high and low fan speed settings. The variable temperature control dial allows for easy adjustment of temperatures. It has an integrated hands-free support stand that allows the gun to sit upright for hands-free use. The integrated hanging hook is ideal for storage. The lightweight, only 2-pound, gun offers less fatigue when holding. It has a 1500-Watt motor that delivers high heat and multiple fan settings. Its 6-Feet high-grade cord improves flexibility during cold use. Perfect for applications such as: Paint removal, Bending plastic pipes, welding plastics, Removing adhesive tiles, Shrinking plastic tubing.